Our Regional Vision is a Comprehensive Regional Development Strategy. This document links the planning process for economic and transportation initiatives, combining the required elements for the CEDS and LRTP into an overall regional strategy. Partnering with the Region 10 Regional Planning Affiliation and a wide variety of regional stakeholders, ECICOG prepared the CRDS to guide the economic development, and transportation planning process for the Region 10 area. The CEDS results from a comprehensive strategic planning process and is designed to serve as a guide for local practitioners seeking to leverage their region‘s assets, create thriving clusters of innovation, and address potential threats to economic stability and growth. Transportation Act (FAST Act) Section 302 23 C.F.R.Parts 450. A plan update is required every five years. This document will serve as a joint document and overall regional strategy. This process has been facilitated by a variety of organizations. Created with the support of an Action Committee composed of stakeholders; this document will also serve as a regional action plan for various agencies within the region. With enumerated goals in workforce, business, and community development, this document will foster an ongoing process which will continue to shape our region. By supporting a diverse, entrepreneurial economy, enabling residents, and fostering local businesses, and creating a vibrant, healthy, and enjoyable environment, we will create diversity, education, mobility, and resilience within the planning area. 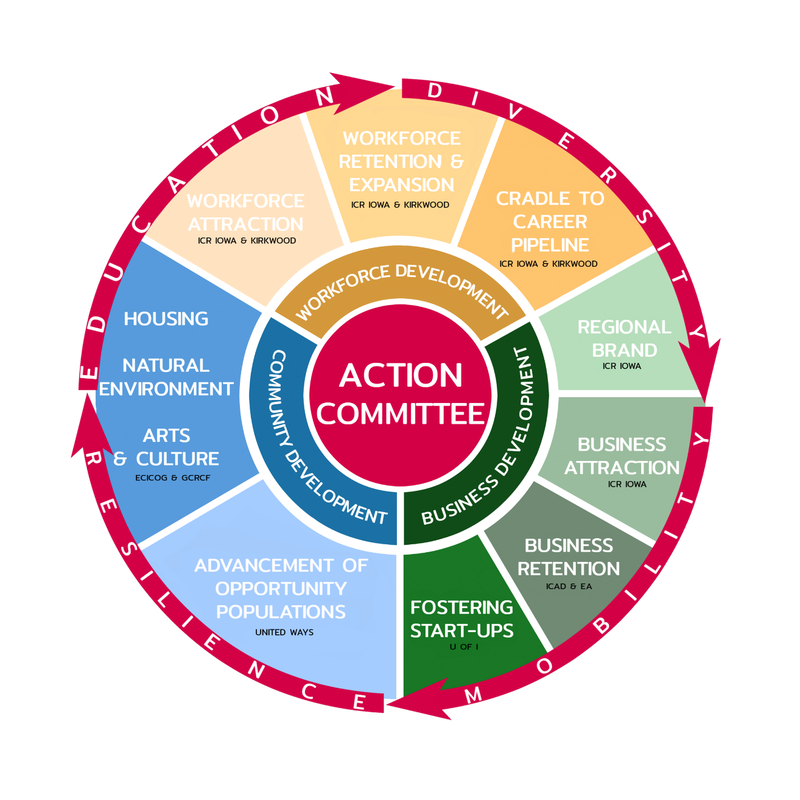 In order to successfully develop a region-wide action plan that inclusively encompassed our economic health, an Action Committee of stakeholders was created. This Action Committee developed an overall Regional Vision and spearheaded sub-plan development for various branches of our planning framework. Although each branch of the framework has unique obstacles and goals, all connect through education, diversity, mobility, and resilience. Each branch presents its own goals, action items, evaluation metrics, and relationship to the regional resiliency and mobility. Many of the branches connect to one another creating a web of partners and resources for responsible parties to consider when moving forward with the economic development process.